ok. One of my Exit 4 years back was not showing in cbp travel history website but return for that trip was showing as arrival. That was the first time i traveled internationally out side US and previously i had Paper based I-94 card. i gave that previous paper I-94 card to American Airlines while i was boarding at gate(canada flight). Looks like airlines did not inform that departure to cbp or something. Anyways i have travel agency company email confirmation of that trip but that old record is not found now in both travel agency website and in American Airlines website. i did not retrieve that I-94 from cbp online website that time because i did not know about cbp online website that time in early 2014. currently it is showing only most recent one. 5 months after above mentioned trip then i went to India and came back and those are fine. i retrieved that i-94 from cbp website. also i got extended my H1B visa status recently. will there be any issues in future if i don't have one of the previous I-94 online number document. or Most recent one is important? Are CBP and USCIS systems in sync? Do their computer online system communicates to each other? when we travel internationally and arrive at Port of entry, CBP enter I-94 record in their online system right. Do they update or communicate to USCIS system too through online or not? Never mind on my question. I checked with my friends and I-94 number can be changed at port of entry cbp when we travel. I thought cbp maintains only one I-94 number same as uscis I-94 number. But they are not. Which ever is the latest (cbp site i-94 travel or H1B extensions within usa) it will supersede previous i-94 number. Question: Through FOIA, how many years back Old online I-94 can be requested? Can we request old online i-94 which was more than 5 years back? In passport i have arrival stamp with date but i did not retrieve one i-94 from online that time. I wish cbp should have kept at least 3 old previous I-94s in online. They are only keeping latest I-94 in online. Do cbp people assign I-94 number in online same as old paper I-94 number after they changed it from paper based to online from May 2013. Or did they start assigning new I-94 series number for online I-94s? If we come with wife first time, do they assign new i-94 number at port of entry since marital status is changed and have new dependent? I am trying to find out why my i-94 number is changed at port of entry and not same number as my old paper based I-94 number. Hi, First of all thank you very much to this forum owners and all members. i have a question related to I-94 number change. I came to USA on F1 visa in 2009, I-94 paper form was issued and stapled in passport page. I never traveled outside usa on F1 visa. 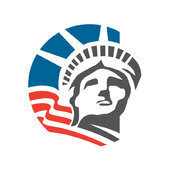 In 2013 my H1B visa status started. In 2014 i went to Canada for H1B stamping and came back to USA in 3 days after H1B visa stamping is done. I gave my previous paper I-94 card to Airlines person at boarding while departing from usa airport. (my port of entry was in Canada airport itself while returning from canada to usa but i never retrieved my online I-94 record for this arrival, i did not know about we can get i-94 record from online that time). After 5 months of this H1B stamping then i traveled to India for 1 month and came back to usa, i retrieved my online I-94 for this arrival and also emailed to employer. After that i extended my h1b visa 2 times till now with same latest I-94 number that i got from cbp site and this same number is there at the bottom of H1B Approved I-797A document with extended expiry dates, have not traveled outside usa from then to till now I checked my First I-94 paper card Number (when i came on F1 visa in 2009), current I-94 number. Both numbers are different. So i am wondering why I-94 numbers are different. when my change of starus is changed from F1 to H1B i got same old I-94 number at the bottom of H1B I-797 approved doc. I guess my I-94 number is changed while i came back from H1B stamping (canada) or on my second trip from india. I don’t have previous online i-94 (canada to usa after stamping). Sorry for long description. I just want to give clear information on my question. STEM OPT Extension Denial - First 12 months OPT expired 3 months back || STATUS SEVIS Q. Very Urgent !! Hi, My First OPT expired more than 3 months back. i have applied for OPT STEM Extension 5 months back from now then i got RFE then responded to RFE in August through attorney and my case is still in process. if my case gets denied, what are my options. i heard there is 60 days grace period for sevis but would 60 days period starts from First OPT expired date or from the date of STEM extension denial date? can i able to apply for masters in any university and get new i-20 and new sevis number and then go to nearest mexico border and get i-94? my previous F1 Visa stamping is still valid for next 1 years ( got 5 years F1 stamping in 2013) but not sure whether this stamping is valid with new sevis & i-20 to get new i-94 when i cross border and come back? or should i need to go get new F1 visa stamping with new i-20 and new sevis? if anyone knows about SEVIS and status please let me know. Thanks. Should we put client location on I-983 and memtion vendor names or just employer name enough? Withdraw the pending amendment as soon as possible. Pending amendment is for client B right and this project is over and you are going back to previous client which your current h1 was filed and approved based on that client A location right. Just withdraw pending amendment and you don't need to file any new amendment. Your employer and his lawyer will help on withdrawal. If your pending amendment gets approved in next 2-3 weeks then you may need to file again new amendment i guess but don't let that happen. 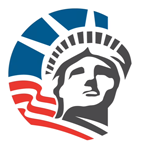 Ask your employer lawyer to send withdrawal letter to uscis. For withdrawal it takes up to 4 months if it is california center ( as per my experience). There is no time period for this but as long as your lawyer sent withdrawal letter and keep copy of that for your reference then fine. I am filling DS-160 for my in-laws. I am on H1B visa and wife is on H4 visa in usa. My father-in-law occupation is Agriculture and giving Rs.50K/month as his income. Mother-in-law is homemaker. If i give self sponsor in DS-160 for both of them then how much cash they have to show in their banks. They have up to 8-10 Lakh rupees in account. Planning to give Intended stay 2 months in DS-160 ( does port of entry officer give i-94 based on this or do they give 6 months i-94 default?) If they are self sponsoring then In Invitation Letter (To Visa officer) i mention that they are going to stay at my Apartment right? should i write like They will bear all expenses Except Accommodation? Can any one send Invitation Letter for self sponsored B2 in laws visa. if i sponsor them then do i need to prepare lot of documents like I-134 affidavit of support and Bank letter and other letters? is it better to sponsor them or self sponsor to get visa? RFE - BONA FIDE EMPLOYER-EMPLOYEE RELATIONSHIP: A student seeking to qualify for a 24-month STEM OPT extension must be a bona fide employee of the employer signing the Form I-983, Training Plan for STEM OPT Students. Please submit a copy of your Form I-983, submitted to your DSO and signed by your employer, in support of your request for the STEM OPT extension. Submit evidence of your employment including: signed letter(s) from employer(s) establishing job title(s), duties, location, pay rate, and number of hours worked per week; copies of your earning statements/pay stuba; and/or copies of your W-2s. NOTE: Students may not provide employer attestations on their own behalf. Hi All, can any one please let me know about this RFE. my university DSO said no need to send form I-983 when i was sending OPT extension application to USCIS. i got sign from employer and sent to just DSO. But now USCIS asking it. i will send that. Questions: 1) i have been working on contract job and there are two vendors bet ween my employer and end client. should employer mention all these in employer letter or he can just mention work location? if vendors and client names are mentioned in employer letter then again i need to ask letter from each vendor and then client. i don't want to complicate it. 2) Paystubs: how many months paystubs should i send. i had previous year one W-2. should i send W-2 too? do you guys see any complexity in this RFE. please advise me. Thank you.